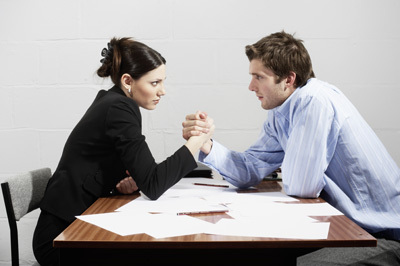 Learn how to negotiate a bonus with account manager by reading our tips! Providing a bonus for clients is almost a tradition in Forex trading industry. Brokers offer various types of promotions, e.g. deposit bonus, no deposit bonus, cashback promotion, secure trades or bonus given due to a particular event. Indeed, every bonus is coming with a predetermined size and different terms and conditions that clients have to follow, if they wish to be rewarded with the bonus advantages. It is not a secret that good brokers usually assign a personal account manager to each registered user. Some brokers provide account managers only to privileged clients that have chosen a VIP account package or just made a large deposit. Anyway, the personal account manager always performs the same functions. They mostly incorporate supporting, resolving issues of the clients and providing technical assistance. However, can account manager make your Forex bonus bigger? Fortunately, account managers have enough power to enhance the bonus. Clients just need to contact them and negotiate properly. In this article, we would like to give as many tips as possible that might help you negotiate a better Forex deal with your account manager. Let’s go. Why negotiating for a better bonus? The truth is that reliable brokers always seek for the ways to improve their relationship with customers, which will eventually pay off well for both sides. Hence, you should not hesitate to contact the brokerage firm representative to show your interest in getting better promotion conditions. Better FX bonus for you means more extra capital to trade with and additional benefits that seriously influence your trading experience. Likewise, there is no problem for the account manager to increase the 45% deposit bonus to some 50%. Bonus terms and conditions can be strict and a bit exaggerated. However, by contacting your personal account manager the overall conditions can be softened to some extent. Additionally, the account manager can also increase the size of your bonus. What is left is to persuade him. Let’s see how to get the best Forex bonus further. Every broker is interested in funds deposits that clients make. This is because brokerage firms are mainly compensated through the spreads per each trade conducted. More trades equal more gains for the broker. How to get better Forex bonus using account manager? When you negotiate for the better bonus, you can promise your account manager an increased real money deposit. If you deposit more than the promotion requires and will notify the account manager about this, there will definitely be more chances for getting even greater offer thereafter. Such option, however, depends on the type of the FX bonus. Take into account that Forex deposit bonuses usually come up with terms that vary among online trading brokers. The case in which this tip will prove to be the most effective is when the broker offers an extra percentage on the fixed deposit amount, e.g. “40% on depositing $1000”. Hence, you can negotiate to make a larger deposit and then receive more bonus funds. This is the basic way how to get a better Forex bonus. 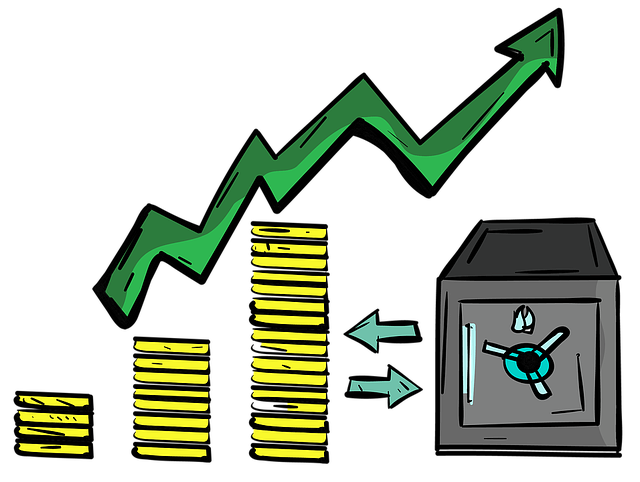 Some brokers offer deposit promos where the bonus amount is the same for any size of the deposit. For instance, the broker can offer 25% bonus added to the account upon making the initial deposit of any size. Similarly, the promotion program might clearly specify different sizes of the deposit and the corresponding bonus amount added. On a side note, you still have the possibility to increase Forex bonus using account manager, although you need to consider the bonus terms before you start negotiating. As we have said above, brokerage firms are interested in building a solid reputation. One of the common ways to check the quality of the broker’s services is by reading customer testimonials. There is nothing bad in writing a positive testimonial about your broker, especially when it can provide you with better bonus conditions as a reward for loyalty. Pursuing a mutual benefit is crucial during Forex bonus negotiation. Therefore, in order to convince the account manager to provide you with the higher percentage on your deposit or increased cash for no deposit bonus, you can suggest him to post a five-star feedback on popular Forex trading websites. This is immensely important for the brokerage firm and can be a nice ground for the account manager to improve your FX bonus. The testimonial can be written in a form of review on the broker’s services or by simply posting a comment on the brokerage website. It is completely up to you which information exactly should be included. No existing business wants to lose customers and brokers are definitely not an exception. Therefore, there is an alternative way to get free Forex bonus from account manager. You can tell your account manager that you have a much better promotion offer from another brokerage. In other words, you outline that the conditions of the bonus at your current broker are not satisfying enough. Hence, you can ask the account manager to beat the offer from another broker and increase the size of your Forex bonus. In order to maintain a competitive edge, the broker is likely to agree to this proposition. This is why it is always important to study various Forex bonuses present in the currency trading market. You might still want to stay with your broker for a number of reasons, but if you know that other FX brokerage firms have better promotions – you can show it as a serious argument during best Forex bonus negotiation. As you might already know, in order to get the bonus the trusted broker will usually require you to accomplish a particular trading volume. It is important to mention that some scam brokers can omit this condition and promise to give a generous Forex bonus. However, there is always a free cheese in the mousetrap. The trading volume is significant for the well-being of every Forex broker. Basically, the volume or turnover requirement is the certain number of lots or units that should be traded within the specified time period. So how to negotiate a bonus with account manager based on the trading volume? Your assignment here is to suggest the account manager the increased trading volume for the promo in exchange for the bigger bonus size. This is a fair deal, as with the enhanced trading volume you bring a larger profit for your broker and also get a greater compensation for your activity. Although the tips which we have provided above can work as separate approaches, we would advise you to use them together in order to create the bonus negotiation plan. In an attempt to get best FX bonus via account manager you have to structure your request very clearly. Additionally, you should have realistic expectations about the Forex bonus. Therefore you have to check whether it is possible to improve your promotion conditions somehow. Nevertheless, always negotiate as it is a key method to get what you want. After you have successfully obtained your FX bonus and negotiated about additional benefits as the part of the deal with the personal account manager, you can start trading. However, hold your horses. As we have stated above, all bonus deals come up with different bonus terms and conditions. You have to study them scrupulously to make sure you understand everything. Later, this will save you a lot of time and money, because you will avoid unexpected incidents. Good Forex brokers usually post the terms and conditions in .pdf so that you could download them. Since terms and conditions can change in the course of the promotion period, you have to contact your personal account manager and quote all the bonus terms and conditions for further confirmation. If the broker modifies the terms, then you will have the full right to request a new FX bonus given by account manager. Additionally, you have to ensure that the trading volume actually counts for the bonus. As the matter of fact, the brokerage platform can experience bugs or other types of technical issues. Thus, you have to test the platform at the very beginning of the promotion by placing 1-2 trades for example. If there are no problems with meeting the turnover requirement, then the bonus is safe to trade. Otherwise, you are going to waste your valuable time for nothing. Lastly, check if the instruments you are trading are allowed for completing the bonus volume requirement.